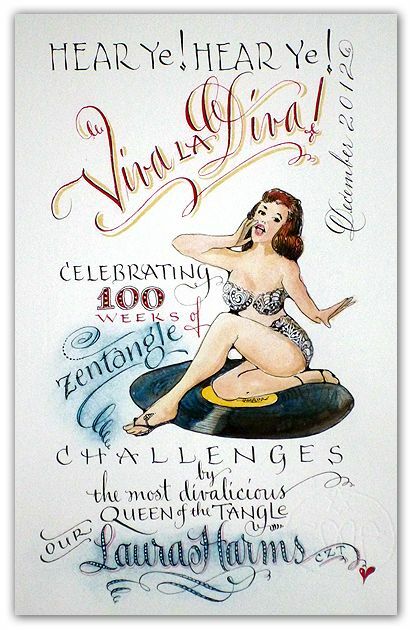 Laura Harms, CZT, invited us to host the 100th Challenge at IamtheDivaCZT. So . . . we created a new tangle, diva dance, to celebrate this occasion. Below are a couple samples of diva dance. 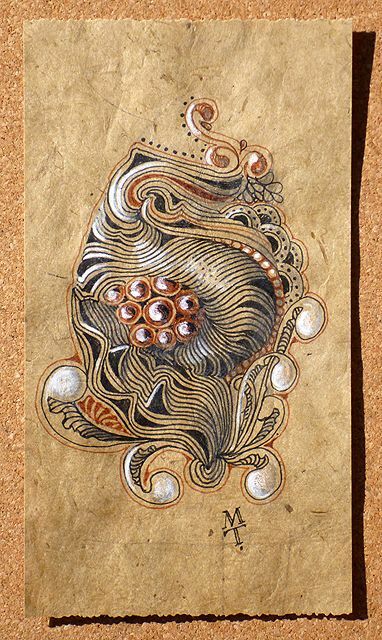 First is by Maria on lokta paper using Sakura� Pigma� black and brown micron pens with white chalk pencil. Next is a prestrung Zendala by Rick. Maria painted the top image with gouache on the paper we use for our tiles, Fabriano� Tiepolo. Please visit Laura Harms blog for more images, complete step-out instructions, and to add your creations to her 100th Challenge. It's been our holiday tradition for several years now to tie a ribbon and add a card to your Zentangle Kit during this end of year gift giving season. All you have to do is ask. 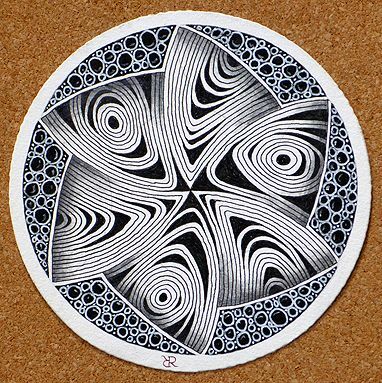 We'll do this for orders over $30, such as our Zentangle Kit or our new book. You'll get a nice ribbon and Maria will hand-letter a beautiful card. Just tell us the names you want for the "to" and the "from", but please, no notes, just names. You can type the info in the "Comments" section as you check out online, or tell us when you call in your order. We wish you and yours all the very best during this wonderful season and throughout this coming year.